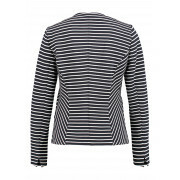 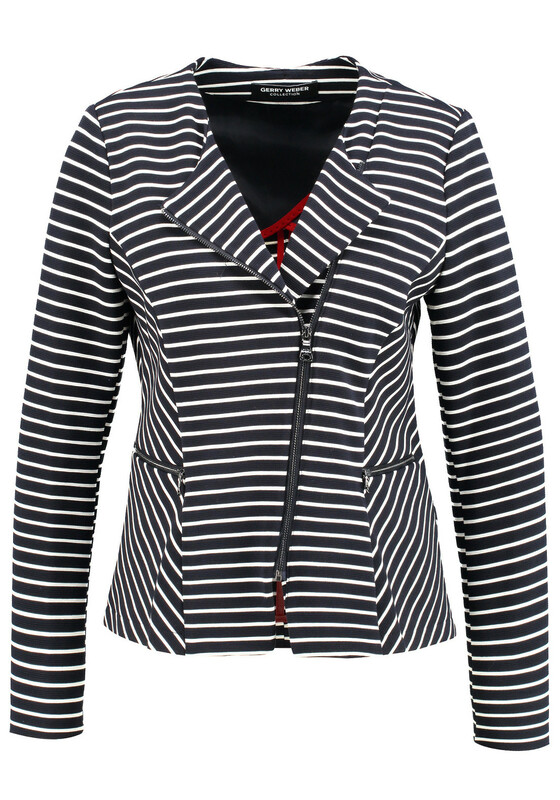 A comfortable cover up that would look great worn with a plain top and jeans, this navy blazer from Gerry Weber is sure to become a favourite in your wardrobe. 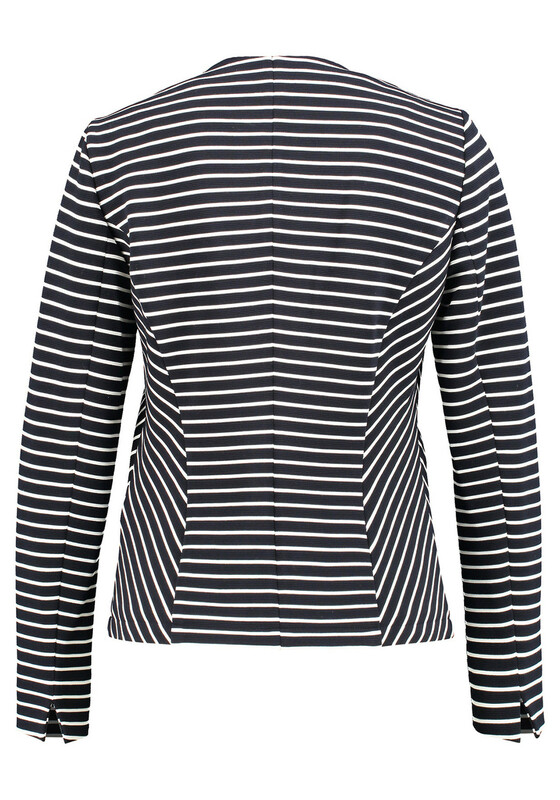 Crafted from comfortable ribbed jersey fabric with a white striped print throughout. 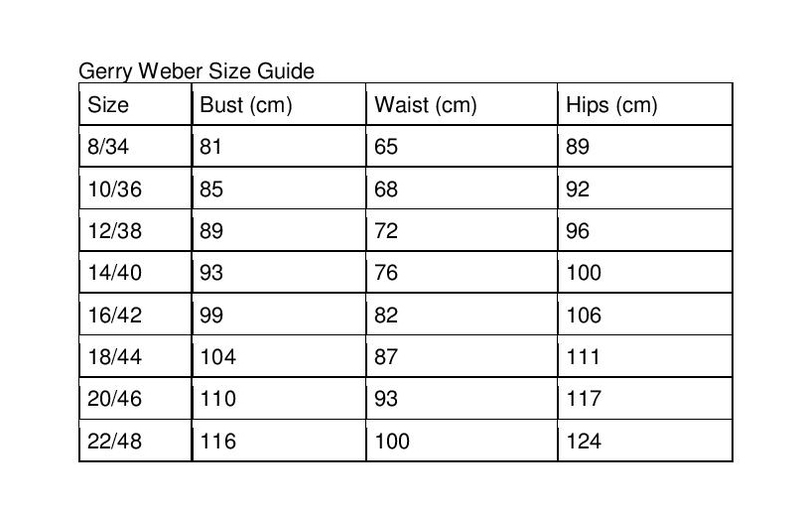 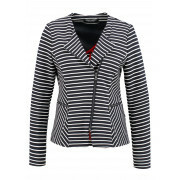 Styled with a figure fitting straight shape and featuring an asymmetric zip and pockets.